Installing a new swimming pool? Need to demolish your old pool first? Whether you’re having a new pool installed at home or you’re a swimming pool company in need of reliable pool excavation and demolition services, Dee Gees Bobcats has you covered. 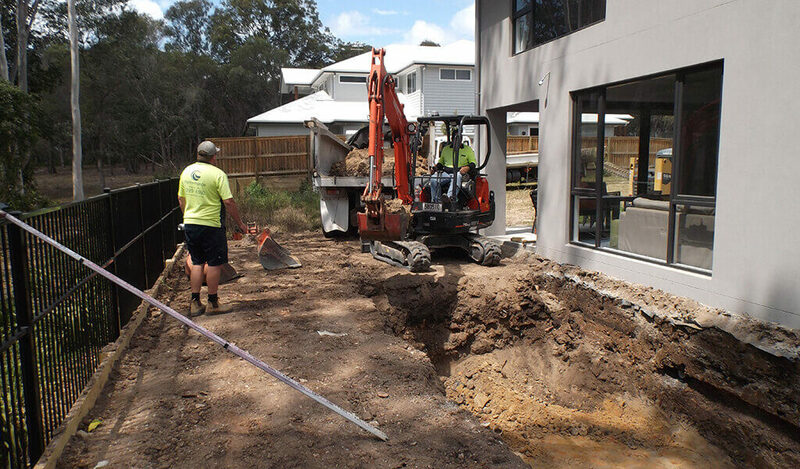 Our highly skilled team service all areas across Brisbane and Ipswich to ensure all pool builders, homeowners and developers can access quality excavation and plant hire services. Contact Dee Gees Bobcats today to get your free pool excavation or demolition quote. Why choose Dee Gees Bobcats for your pool excavation and demolition needs? Dee Gees Bobcats has worked with many swimming pool companies and homeowners in Brisbane and Ipswich to excavate swimming pool sites and demolish old pools. We have a great reputation for providing fast, efficient and affordable swimming pool site solutions and have many years’ experience with both residential and commercial pools, along with plunge pools, splash pools, spas and more. As a leading excavation and plant equipment hire company, we have a wide selection of machinery which enables us to excavate sites for concrete and fibreglass pools, and access sites with limited access points, like residential backyards and apartment block courtyards. We also provide bobcat hire and landscaping services, so whatever the requirements of your project, we have you covered. 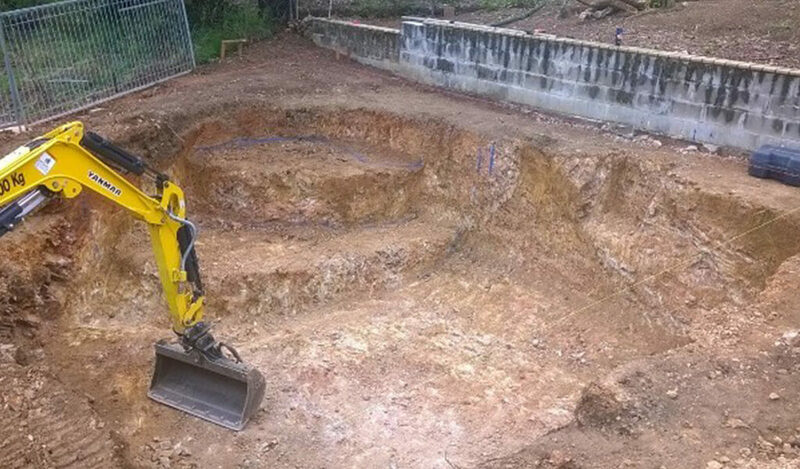 To get a quote or chat about your swimming pool excavation or demolition requirements, contact Dee Gees Bobcats here or call us on (07) 3375 5315.